To show our love and gratitude to Swami, we, the Youth Girls, took on a vow to turn our lives into His message. From this vow blossomed our Year of Sadhana initiative for which we have committed ourselves to organize and participate in at least one Sadhana project for each month of the calendar year. The following are the Sadhana activities that we have not only committed to, but also welcome you to join. Please feel free to click on any of the events displayed below for more details. Talking about mental health is the first step in making a difference in the lives of all Canadians.One of the key pillars of Bell’s Mental Health Initiative is anti-stigma. 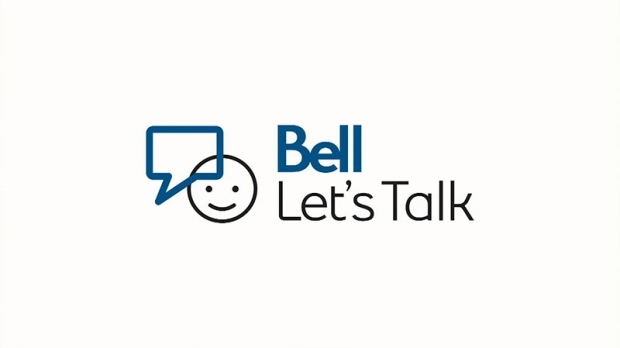 As part of Bell’s efforts to reduce the stigma of mental illness, the Bell Let’s Talk awareness campaign has begun to engage Canadians in the dialogue around mental health. The Youth Girls were excited to be playing an active role in raising awareness about Bell Let’s Talk campaign and we are even more thrilled to help raise money and awareness for mental health and addictions through the simple interactions with social media. Talking about mental health is the first step in making a difference in the lives of all Canadians. The Youth Girls wish to continue throughout the year. The Youth Girls of the Scarborough Sai Centre hosted a Mental Health Awareness Seminaron February 9, 2014 for the group 3 and 4 students. We had called upon Juanita Nathan asthe guest speaker who is vastly knowledged with this topic. Ms. Nathan is a public schoolboard trustee, a community outreach worker, seniors support staff, and a counselor for women fleeing violence. She spoke about the main issues middle school and high school students go through such as stress, anxiety, depression, along with the misconceptions of mental health. Fortunately, group 3 and 4 students are all in the same session so we were able to have close to 120 students at the seminar as well as about 10 parents. The youth boy’s hosted the University Prep Workshop with the help of Youth Girls catered towards the group 4 students for their benefit, to let them know what to expect in their respective university, university life in general, and anything pertaining to their program. This workshop is to give further knowledge of how to handle university and in what ways they can full benefit from the university experience. Trees Across Toronto is the city’s native tree and shrub planting program that responds directly to the tree canopy goal and is a major step forward in reclaiming some of our underdeveloped and “un-treed” lands. It is Toronto’s signature tree planting event that takes place each year on the last Saturday in April. The Youth Girls participated in this event at Miliken Park and helped plant close to 300 trees. Pre- Canadian Youth Conference – Regions I, II and III youths came together in an invigorating conference consisting of activities, study circles, guest speakers and seva. The youth girls not only participated in this event but also helped plan the event as well as helped the day of. The youth girls and youth boys of the scarborough sai centre hosted several activities this year during the annual SSE BBQ. They had helped out with car wash, help serve food and freezies as well as several game activities for the children. The youth girls had made greeting cards with positive messages to be handed out to the seniors and had also spent some time with them. 3 days conference hosted by the Sri Sathya Sai Organization in Canada for all the youths across Canada. Included activities such as workshops, games, bhajans, talks by Professor Anil Kumar, Phil Gosling, Dr. Thayaparan & many more speakers. Also took part in the cultural program presenting the shadow play, plays, & musical performances.